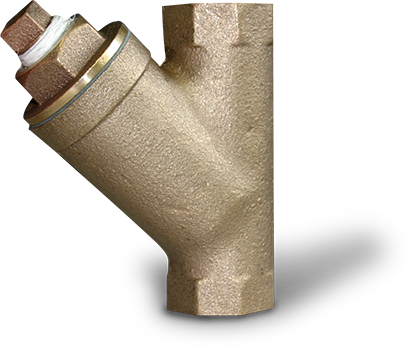 Strainers are available in a sturdy, red brass (steam bronze) casting or heavy cast iron body. The integrated brass wire or stainless steel screens are easily accessible for simple clean out to continue to operate at peak performance levels. Sterlco® Strainers are adaptable for many other fluid handling operations in commercial and industrial HVAC, food, beverage, pharmaceuticals, hospitals, schools, power utilities, refineries and petrochemical applications. Our technical staff has extensive experience to provide responsive support that maximizes uptime, productivity and longevity of Sterlco equipment.